The first meeting was in Washington, DC in October. Needless to say, this gives us great opportunity to increase awareness of the Evans Network and help shape some of our national programs. Walk In Art Center Third Floor Construction Underway! “We really expect the Walk In Art Center to be a great draw for Schuylkill Haven and the county in general.”, says Walk In Art Center Board Member Gary Hess, Schuylkill County Commissioner and former Mayor of Schuylkill Haven. “Penn State and SCEC have already added vitality to the Parkway where the Walk In Art Center is located, and we can’t wait for the artist studios to be completed.” The studios are scheduled to open in May. Tours of the space, further details on the construction, and information for artists interested in studio space are available from the Walk In Art Center administrative staff. The Walk In Art Center also created a Founders Club for donors who would like to provide support for Center construction and development. The Walk In Art Center is a non-profit artist incubator located at 110 West Columbia Street in Schuylkill Haven, PA. 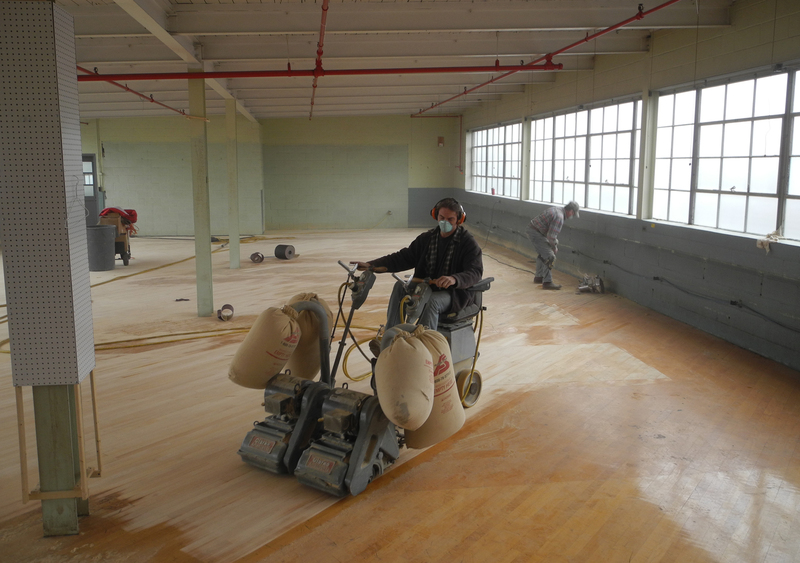 In addition to education, tourism and artistic and historic interpretation, one of the main goals of the Walk In Art Center is conservation of the 87,000 square foot , century-old former Walk In Shoe Factory. The Walk In Art Center will feature artist studios, classrooms, a multi-purpose room, and a museum. It is part of the five-part plan to revitalize Schuylkill Haven. For more information visit the Walk In Art Center website and like us on Facebook! Evans was a sponsor at the November U.S. Freight Sustainability Summit held at the Ronald Reagan Building/International Trade Center in Washington DC. The event featured freight industry leaders, goods movement experts, and policy makers sharing best practices and strategies designed to create a stronger, more sustainable global freight transportation system. A key theme of the Summit was enhancing the efficiency and environmental performance of the supply chain. Co-hosted by the U.S. EPA SmartWay, American Trucking Associations, Environmental Defense Fund and the Retail Industry Leaders Association, the event offered an in-depth look into the critical role that the goods movement sector plays in our nation’s economy, energy security and environment. A broad spectrum of industries were represented including, trucking, rail, logistics, retail and manufacturing. They discussed how today’s businesses are integrating cutting-edge technical, operational and informational solutions into global transportation systems. Speakers highlighted how public-private collaborations like the SmartWay Transportation Partnership are helping carriers, shippers and logistics firms to work together to cut costs, energy consumption and carbon. The beginning of a New Year is always an interesting time: A time to reflect on the things that happened in the prior year, to take stock of the highs and the lows, to evaluate the changes in the world around us and how we are handling those changes, and, maybe most importantly a time to look forward and set our “plan of attack” to face the challenges and tackle the opportunities that we see in the year ahead. As I talk with many of you, I know that you perform this kind of a “self assessment” not only in your personal lives but also in your professional lives. As I see it, in 2011 the new world of CSA became a reality affecting driver hiring, safety and compliance monitoring, and impacting all facets of the driver’s behavior when operating a truck. The price of diesel fuel and our ability to recover an adequate fuel surcharge from our customers was a daily challenge. Steam Ship lines continued to remove themselves from the business of providing chassis to truckers, and we endeavored to find our way through the “maze” created by this business model shift. All of these industry specific headwinds occurred while unemployment remained high and economic growth was meager at best. How did our agents manage in these arguably difficult times? Overall company revenue grew more than 8% and many of our agent partners grew at rates well in excess of 10%. In 2012 all of these challenges and “complexities” will continue to define our playing field. Notwithstanding these realities, there is good reason for optimism. For starters, there are signs that economic conditions are beginning to improve. Drivers, agents, and company employees are increasingly engaged in education and awareness programs to combat CSA head on, and the results are starting to show. While fuel prices remain high as far out as I can see, we continue to refine our fuel discount program – in 2011 Evans Network contractors saved over $500,000.00 when compared to the price at the pump. While there are many issues still to be worked out regarding the chassis situation, our agents are, for the most part, successfully recovering the costs of the rental fees for chassis. And maybe the best reason to be optimistic about 2012 – our drivers, agents and employees have repeatedly shown that they adapt to and manage the many obstacles that appear on their path to success, and they continue to put up winning numbers regardless the odds. I know that you all will do it again. A prosperous 2012 to all of you! As you now know, effective January 2nd 2012, what has been unofficial for the past 5 years became official. Matthew “Bo” Bates is now the President and CEO of the Evans Network of Companies and I have moved on to Chairman of the Board. For those of you who have been with the Company for some time, you’ll recall that’s the relationship my Dad and I had. He didn’t retire, he was always around when I needed him but he spent more time in Florida and away from the business. I’ll be doing the same. When I took over 45 years ago, my goal was to be one of the survivors in the industry. Thanks to all of you, we’re not just a survivor, we’re the Number 1 Drayage Carrier in the Country. However, we only serve half the country’s ports and rail ramps and handle less than 50% of the total moves in Intermodal. We need to cover the entire US to attract more National Accounts and get that business for our Agents and Owner Operators. Bo and you will make that happen, maybe with a little help from this old guy. I couldn’t be more proud of our company. We have a great past and a wonderful future ahead. Thanks to all of you for what you’ve done. You are currently browsing the Evans Delivery blog archives for February, 2012.